Four Corners is a popular strategy where different statements are posted at each of the 4 corners of the classroom. Students are asked to go to the statement that they most agree with and then discuss it with the other students there. Although this strategy is often used for team building or debate, it can be easily adapted in several ways to help students compare and contrast. As an added bonus, it makes for an engaging lesson and it gets students up and moving. For an even more active and exciting version of this activity, check how to compare and contrast with a classroom snowball fight! This adaptation of Four Corners requires a little more prep but is a valuable assessment tool. For this adaptation, different statements on the topic students will be comparing and contrasting must be prepared ahead of time. Then, give each student one of the prepared statements that relates to hurricanes and tornados. For example, “These storms usually form over water.” The student with this statement would stand in the “Hurricane” Corner. Other students would go to different corners based on their statement. After checking to make sure students are in the correct corners, give students a different statement and have them repeat the activity. In this adaptation, students write down the statements that will be sorted so you don’t have to! Just as before, post different signs in each of the 4 corners. Then, ask students to write down a statement that relates to one of the 4 corners. After every students has written a statement, collect all of the statements. Then, pass them out so that each student gets somebody else’s statement. Students then take their statement to the correct corner, where you can easily assess. There are several potential problems that might arise if you do this adaptation. For one, the statements might not be evenly distributed between the 4 corners – most of the students might choose to write a statement about tornados, for example, leaving other corners mostly empty. Also, it might be difficult for students to read other student’s statements if they use bad spelling or handwriting. This adaptation of Four Corners requires minimal prep and encourages student discussion. Post the signs in the 4 Corners of the classroom as before. Then, have students choose a corner and go stand in the corner (or assign corners to students). While in their corner, have students discuss the topic on their sign. If they are in the “Tornado” corner, then students should discuss things that are true for Tornadoes, but not hurricanes. If you would like to include some sort of written assessment with this activity, then have each student write down a list of the things discussed in their corner, or have each corner create a poster and share it with the rest of the class. 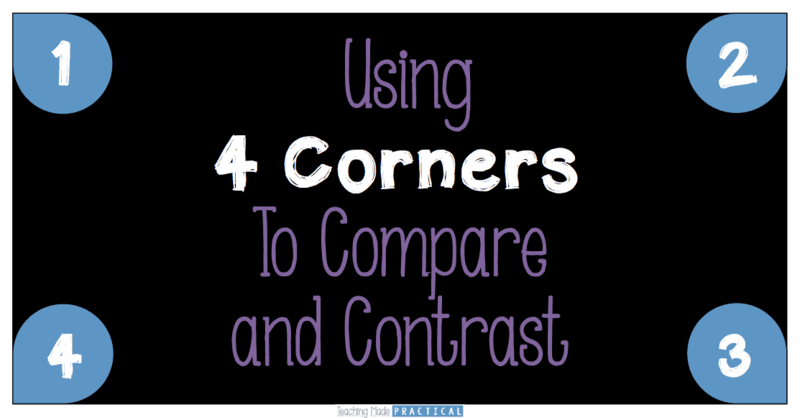 These Four Corners adaptations can be used to compare and contrast virtually anything. 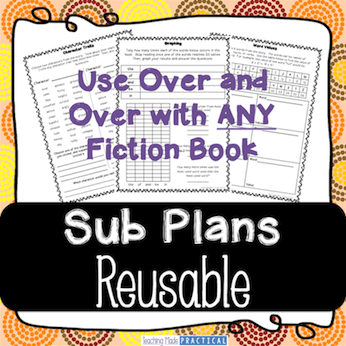 Have students compare and contrast characters, fairy tales, texts written by the same author, famous people, animals, and more! You can find more compare and contrast ideas HERE. Hope that helps!